Ciaras TY Blog Xperience: A Day Out in Kildare! 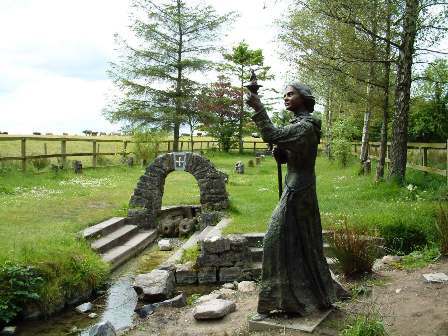 Yesterday we took the bus to Kildare Town where we learned a lot about the history of Kildare and St.Brigid. First we went to the Heritage Centre in the middle of Kildare Town where we watched a video about the history of Kildare and St.Brigid. 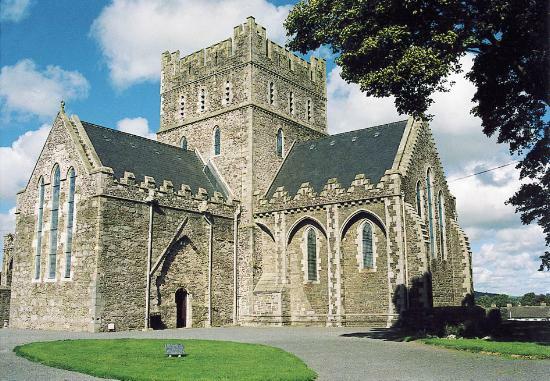 After that we walked up to St.Brigid's Cathedral. We walked around and learned a lot about the history and we learned a lot about the Church of Ireland. After this we visited the well of St. Brigid, it was very peaceful there. When we arrived we said prayers at the prayer stones. Then we walked to another well, where we walked around it and got the water and blessed ourselves. Thankfully no one fell into the water. After this we headed to Whitewater shopping centre where we had a yummy lunch. And then we drove to Naas where we played bowling. We had loads of fun and we were really tired at the end of our eventful day. We had a lot of fun and learned new things. And we were all very hopeful that after walking around the round tower backwards 7 times backwards that we would dream about our future husbands! What an eventful day!